This is a sponsored post curated by me on behalf of Charles Schwab & Co., Inc., Member SIPC. All opinions are 100% mine! Everybody wants to be wealthy, but not many people can define what wealth truly means to them. 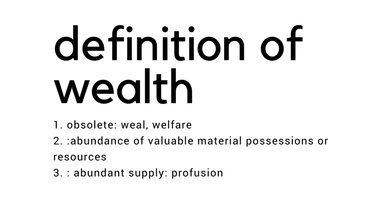 According to Merriam-Webster, the definition of Wealth is, “an abundance of valuable material possessions or resources”. When I first heard about Charles Schwab’s new #MyModernWealth initiative I took some time to stop and think about what wealth really means to me. For most people the vision of wealth often includes a super dope sports car or a large home in Beverly Hills with one of those fancy infinity pools, however for me the more I thought about wealth it wasn’t about the money I had in my bank account, (although the coins do support my goals), it wasn’t about having the flashiest car on the street or even the biggest house on the block it made me think about my lifestyle, about my time freedom and what I like to call Lifestyle Design, and creating a life I desire on my own terms. I also thought about my loved ones and I realized I felt wealthy because of the people that were in my life, my parents, my family my friends, and you guys who are constantly supporting me, uplifting me, and making me feel loved. Now don’t get me wrong I love money, making it and watching it grow as much as the next person and for you to create the ideal lifestyle you have to have money to support your goals. That’s why I work with so many people to help them demystify their finances and bring their Dreams2Reality! 1) Live below your means! This is the key to truly building wealth. If you are able to keep your expenses low, this will allow you to put more money towards saving, investing, traveling or any other things you desire. If you are always spending more than what you are bringing in, I can guarantee you, that you will never be able to build wealth. 2) Think about what makes you feel wealth! Wealth means many different things to many people, but we can all agree that having more money does provide more flexibility in your life. If you are struggling with what wealth means to you, take some time to truly think about when you feel wealthiest. 3) Look for ways to help grow your wealth and make money! This is another key to wealth. If you are able to invest your money into a diversified portfolio of stocks, mutual funds, ETF’s, real estate, etc. You may be able to make accrue wealth while you go out and do things that you actually enjoy, and potentially create a more passive stream of income. Of course investing does involve risk, including possible loss of principal. Another thing I think about is generational wealth and being able to leave a legacy and leave wealth that can be transferred down to the next generation so they can have a jumpstart on life and can also live life on their own terms as well. So for me, when I think about my modern wealth and what wealth means to me my modern wealth is lifestyle design, my modern wealth is me living life on my own terms, not being a slave to the dollar but allowing me to enjoy making money, seeing my money grow and work for me so I can live a life full of happiness and memorable experiences! So let me know below what you think about when you hear #mymodernwealth and what wealth truly means to you….you may surprise yourself! The information provided is general in nature and is not intended as specific, individualized investment advice.